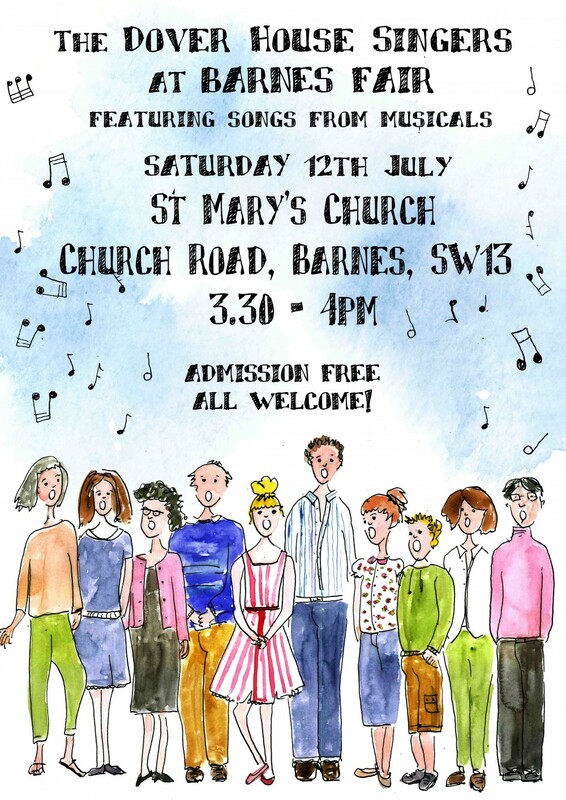 We’ll be performing at 3.30pm in St Mary’s Church and it’s free to come along. We’ve been hard at work rehearsing a programme of songs from musicals and world music. It’s part of the Barnes Fair – a huge day of celebrations, stalls, entertainment and food. You can find out all about it here.